Walks are with a multi-lingual mountain guide local to the area and take 3-4 hours. 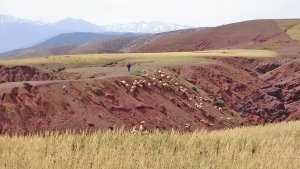 As the Kasbah is in the foot-hills of the mountains, there is the possibility to choose walks where the amount of climbing is moderate rather than strenuous, suiting all abilities. Our guests’ top choices are described below. 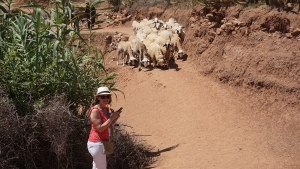 Head east to Agadir village to admire the marvellous views north to the Haouz Plain and south to the mountains (including Mount Toubkal, 4,167m). 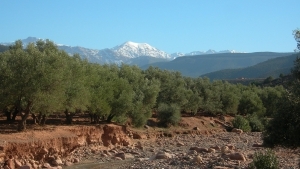 Our circuit continues south along a delightful small valley and into a lightly forested part of the Toubkal National Park. Proceed to Outghal village to see houses constructed from baked earth, with the return through olive groves and mountain fields. Head north to the Ighigheyene river valley and continue alongside market gardens and orchards until reaching Douar Azrou, a very attractive village perched on an outcrop of rock. 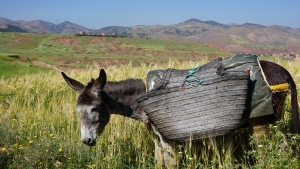 Climb the hill to admire views of the mountains to the south and continue through further Berber villages. 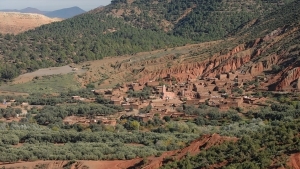 Descend from the Kasbah (altitude 1,000m) and cross the Sidi Fares valley passing below the Forest Guard’s house to follow the path along the lightly forested valley until we reach an open plateau. 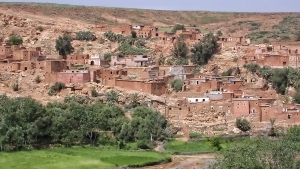 Continue higher up (1,200m) to admire the views of Tagoum village perched on a hill above the Moulay Brahim Gorge. For the return leg descend by a path via Igli village. 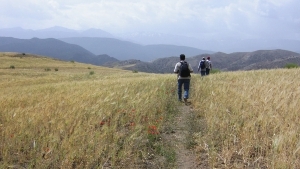 Walks are with a multi-lingual mountain guide local to the area and take 3-4 hours. 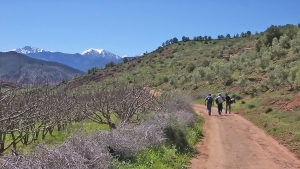 As the Kasbah is in the foot-hills of the mountains, there is the possibility to choose walks where the amount of climbing is moderate rather than strenuous. We can also adjust walks to suit all walking abilities.